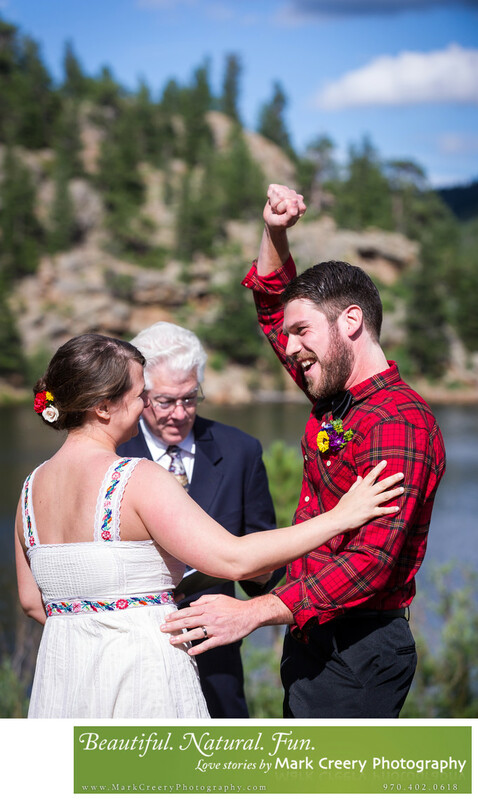 Weddings in the great outdoors of Colorado by local wedding photographer Mark Creery. He captures the essence of the Rocky Mountains and Colorado by allowing the scenery to become the context of the photo while still focusing on the personalities of the couple and letting the emotion be the star of the photo. Location: Rocky Mountain National Park, Colorado.